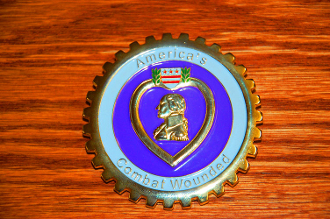 NOW AVAILABLE Our New High Polished Solid Brass 3D Purple Heart Car Badge. Designed to be bolted onto your car grill or whereever you desire. Comes with hardware for standard mount.